Weddings are meant to be remembered for their charm and meaningfulness rather than their high costs. A typical wedding in the United States averages around thirty-five thousand dollars. Some couples incur debt because of their wedding day expenses. Plus, it is an unfortunate statistic that couples who spend more on their weddings end up divorcing at a higher rate than couples being cost-conscious about their wedding. There are plenty of ways to save on your wedding day, and we will be exploring five different ways to reduce your wedding costs. The cost of your wedding will heavily dependent on where you plan to get married. Naturally selecting a place with a lower cost of living will inherently save you money. This is why many couples are deciding to have a destination wedding. There are plenty of locations that offer wedding services at a fraction of the cost. 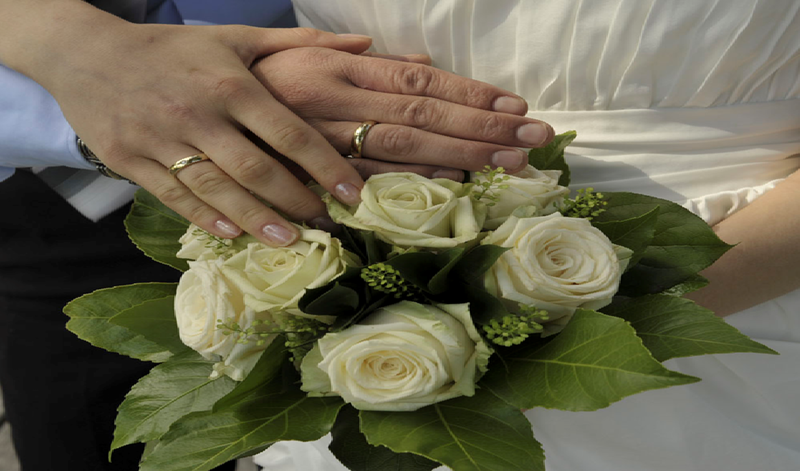 You will also be able to find places in Denmark that offer great wedding packages that will save you money. Make sure to check out http://www.globalexpresswedding.com/en/marriage-in-denmark for more information on the marriage services provided by Global Express Wedding. Catering for your wedding day can be one of the most expensive parts of your wedding. However, there are ways of reducing this cost. Planning your wedding day on a less expensive day of the week is the best option. Many catering companies charge more for Saturdays and Sundays, as most couples get married on these days. Plus, make sure to avoid any holidays or long-weekends. Flowers are an important part of any wedding, and many couples insist on having a fresh flowers for their wedding day. Unfortunately, fresh flowers are more expensive and only last for that day. To save money and still use fresh flowers, try combining fresh flowers with synthetic ones. The synthetic flowers can be used in backgrounds and away from guests. No one will be able to tell that some of the flowers where synthetic. This method will reduce the cost of your wedding flowers. Decorating your wedding ceremony and reception will take effort. Choosing a venue that is historic like an old church or hotel, can reduce the amount of decorations needed. You will only need to accent the natural look of the venue to achieve your wedding theme. Make sure to use as much as you can from what is already at your venue. Plus, utilizing string LED lighting to create an intimate atmosphere can also be an inexpensive option. Having a reception during the day typically costs less than night time receptions, especially if you plan to serve alcohol during your reception. Lunch options are usually less expensive than dinner options when catering for a wedding reception. Plus, many people don’t drink copious amounts of alcohol during the day. Your guests will still be able to have fun and enjoy the day without you having to supply a lot of alcohol. Alcohol is typically one of the large expenses of wedding receptions, and anything you can do to reduce this cost will benefit your budget. Weddings do not need to be expensive to be fun and memorable. So make sure to get creative when planning your wedding.